Figure 40. 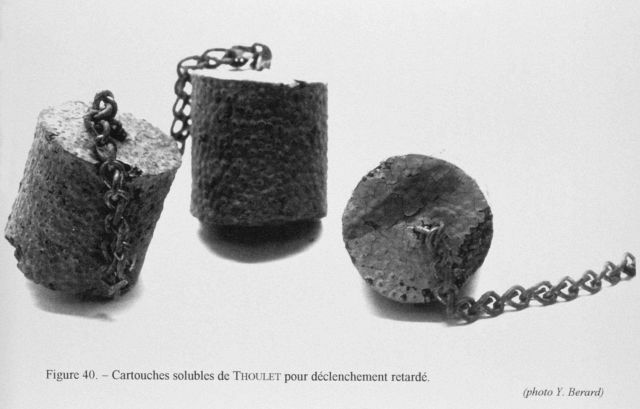 Thoulet soluble cartridge messenger for delayed release of instruments. These “soluble weights” were designed to initiate the functioning of an immersed device at a pre-determined time. Thoulet had apparently designed this device for use with sampling nets . He started tests with these in 1893 in Lake Gerardmer and provided samples for Prince Albert I to use at sea.